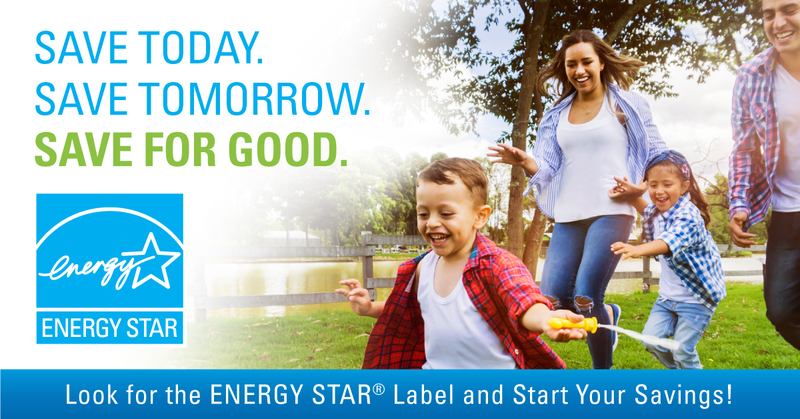 The purpose of ENERGY STAR Day is to raise awareness of the important role that energy efficiency plays in helping combat climate change; and to celebrate the great strides our participants, stakeholders and citizens have made together in saving energy. If there’s one day to sing the praises of the role that ENERGY STAR plays in CyberPower’s energy efficiency efforts, it’s this one. CyberPower Systems, Inc. supports the ENERGY STAR program by contributing research and evaluation, along with developing industry-leading ENERGY STAR products. Approximately 16,000 partners from varied economic sectors participate in the program, which emphasizes testing, certification, third-party review, and compliance screening. To receive ENERGY STAR certification, products, homes, and commercial facilities must meet requirements and testing managed by impartial third-party organizations in accordance with EPA standards. For Products: Up-front testing, conducted by a neutral third party, occurs in EPA-approved laboratories. Every year, a percentage of ENERGY STAR products also undergo off-the-shelf verification. For Homes: In order for a home to receive ENERGY STAR status, a recognized third-party organization must verify its energy efficiency, defined by a set of core energy specifications. Certification may occur either for a predefined package of home improvements or for a customized bundle of upgrades. For Commercial Buildings: A Licensed Professional (professional engineer or registered architect) must verify a number of factors, including the accurate reporting of building characteristics and the fulfillment of defined indoor environment criteria. The building must also be fully functional by industry standards. For Industrial Plants: A Professional Engineer must certify the plant’s 75 (or higher) energy performance score. The facility also has to satisfy EPA environmental compliance criteria. ENERGY STAR partners include manufacturers, trade associations, retailers, small businesses, home builders, and energy efficiency program providers. Learn more facts at About ENERGY STAR. Every CyberPower UPS system that is ENERGY STAR qualified will be identified in the product description and specifications and will display the ENERGY STAR logo.